It can be hard to get dinner reservations for Valentine’s Day. Why stress about it? 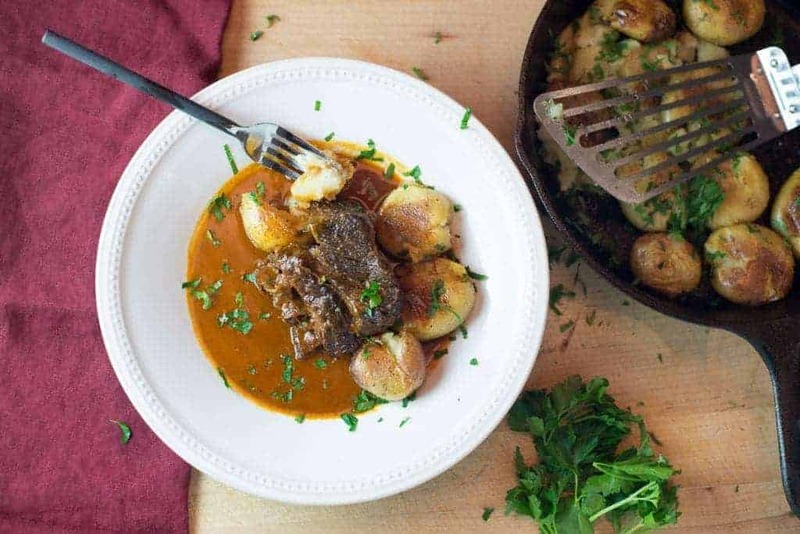 Make your beau a romantic special Valentine’s Day dinner at home! Better yet, cook it together! I used to work in the flower business. I can tell you that Valentine’s Day tops the list for being the most last minute holiday on the calendar. (Mother’s Day being a close second.) Valentine’s is the day that people tend to grab a little something for their sweetie the day before – or worse, on the way home from work on the 14th! Why stress about a gift? Celebrate with an experience. We’ve all got to eat dinner on the 14th. Why not make that meal the gift? Sure, making a special meal does take a bit of advance planning – but no more than buying flowers or eating nutritious food, right? These ribs make a perfect centerpiece to your special dinner. They are quick to prep and slow to cook. While they come together quickly, you will need to plan ahead to account for the 4 hour cooking time. You need a veg to go with your meat and starch! 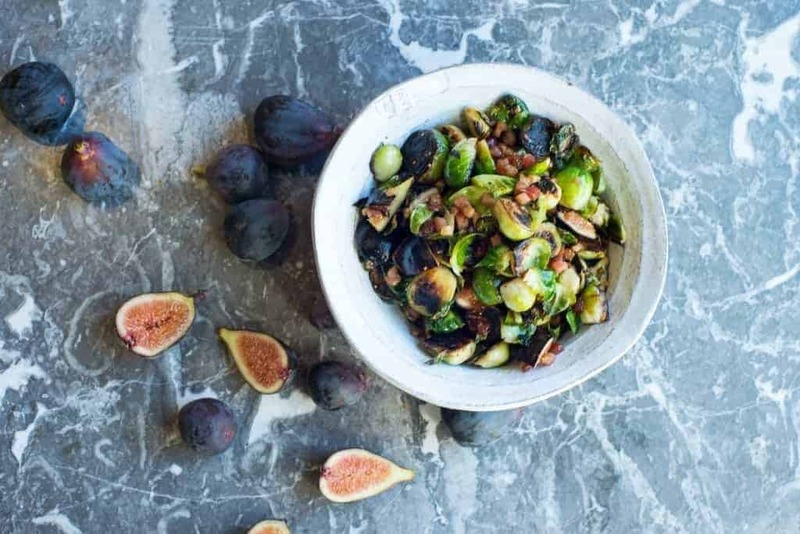 Brussels sprouts are perfect for a special meal. This recipe calls for fresh figs, which can be hard to find this time of year. Don’t worry about it. You can always omit them. Alternatively if it feels like too much to make, just par boil some french green beans. Dress them with a bit of butter and salt – and you are ready to go! Want more veggies? Throw together a green salad. My favorite is to contrast a peppery arugula with some salty pepitas, fruit (like strawberries), and a sweet vinaigrette. These Brussels sprouts are a favorite in our house. I could make them every night. Every special meal needs a dessert! 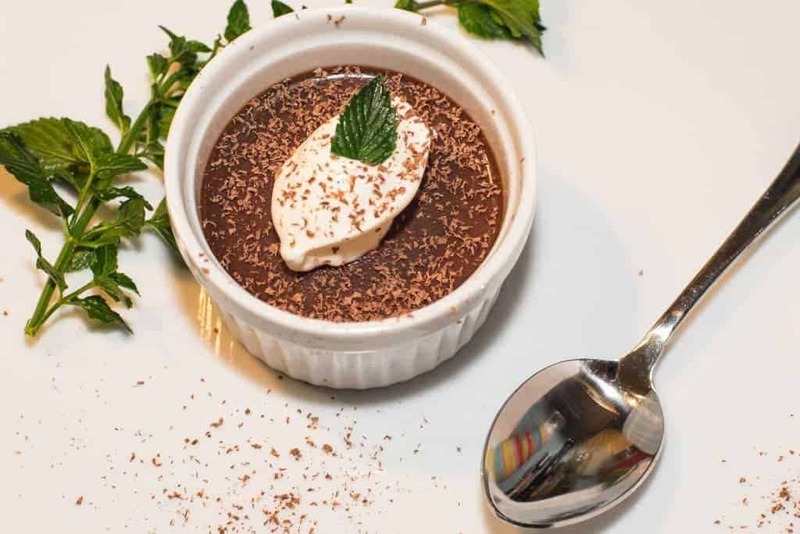 In our minds Chocolate Pots de Creme make the perfect Valentine’s Day dessert. If chocolate is not your thing, or if it feels like too much in the grand scheme of your weekly nutritional goals, here is a fruit-based alternative: Cherries with Almond Cream. If you can’t find cherries, blackberries also work well in this dish. Elegant, easy to prepare – and DELICIOUS! We hope that this gives you some ideas. Prefer something different? Use the search function on the site to explore other options! There are a wide variety of recipes available! As we often say…Make it your own! Cooking is a creative process. Explore and enjoy! Leave a comment below. Let us know how it goes. We love to hear from you! In the meantime, if you haven’t already, sign up for our twice-weekly digests. Don’t miss a thing!